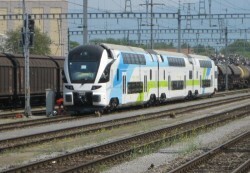 In December 2011, Westbahn will provide 18 rides between Vienna and Salzburg. This part of the Austrian railway network is one of the few distances, which are able to achieve positive net results. The CEO of Strabag, Hans-Peter Haselsteiner and the former manager from ÖBB, Stefan Wehinger, founded the company in 2009.